US Senate`s Foreign Relations Committee Chairman Robert Menendez has sent US Vice President Joe Biden a letter in which he expresses his grave concern over Turkey`s illegal actions in Cyprus` Exclusive Economic Zone (EEZ) and asks him to urge Turkish President Recep Tayyip Erdoğan to withdraw from Cyprus` EEZ. The letter comes ahead of Biden`s scheduled visit to Turkey close to November 20. At the same time Cyprus President Nicos Anastasiades is expected to have a telephone conversation with Biden later on Friday. In addition, Menendez had an extensive telephone conversation with Vice President Biden in which they discussed US-Turkish relations and the Turkish provocations against Cyprus. Turkish seismic exploration vessel `Barbaros` entered Cyprus` EEZ. The move comes a few days after Turkey issued a maritime order (NAVTEX) for the area. 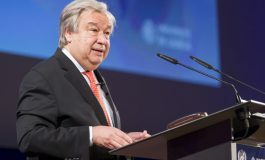 This prompted President Nicos Anastasiades to suspend his participation in the UN backed negotiations which aim to reunify the island under a federal roof. Cyprus has been divided since 1974 when Turkish troops invaded and occupied its northern third. 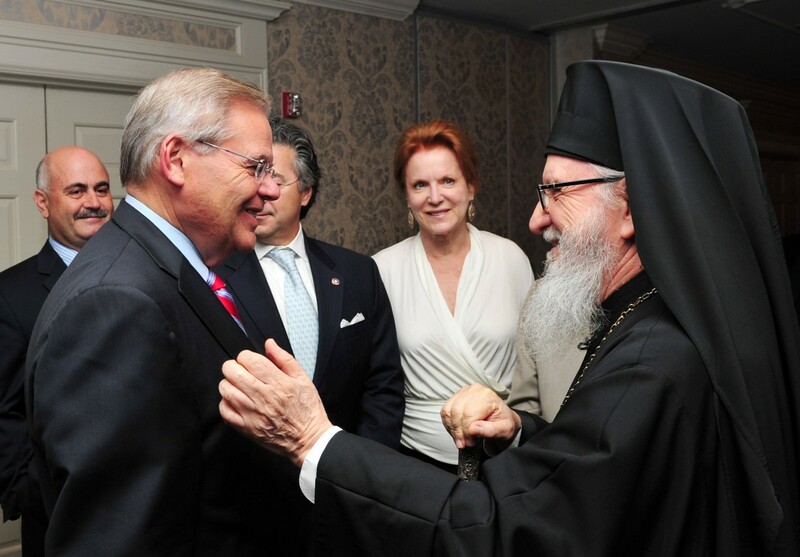 “I write to express my grave concern over the Republic of Turkey’s illegal incursion into Cyprus’ Exclusive Economic Zone”, Menendez says in his letter to Biden. This continuing and dramatic escalation of events by Turkey, he points out, “requires an immediate response”. Menendez asks Vice President Biden “that you raise this blatant violation with President Erdogan during your upcoming visit to the Republic of Turkey and request that he immediately withdraw from the island’s exclusive economic zone”. “The Cypriot people need your strong voice on this issue to urge President Erdogan to withdraw from Cyprus’ EEZ so that reunification talks can resume”, he notes. 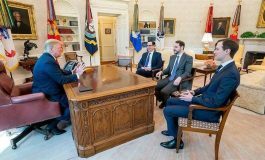 At the same time he highlights the fact that Biden`s “active engagement on the Cyprus issue has engendered new hope for the talks, which Turkey’s illegal provocations in Cyprus have endangered”. Referring to the position the US must have vis-à-vis Turkey`s recent actions he expresses the point of view that “the United States must join the international community in calling on Turkey to immediately withdraw from Cyprus’ internationally recognized EEZ, and agree to work toward a Turkish Cypriot position that seeks to establish the “bi-communal, bi-zonal federation with political equality” that was agreed to in February’s Joint Statement”. “Given your commitment to supporting both the Greek and Turkish Cypriots in their efforts to achieve this objective, I believe you are in a unique position to deliver this message to President Erdogan so that both sides can reengage in honest and productive negotiations”, the US Senator concludes. Newark, NJ – U.S. Senator Robert Menendez (D-NJ), Chairman of the Senate Foreign Relations Committee, sent the following letter to Vice President Joe Biden, calling on him to address the issue of Turkey’s illegal incursion in Cyprus’ Exclusive Economic Zone (EEZ) with Turkish President Erdogan during his upcoming visit to the Republic of Turkey. The letter can be found below and here. I write to express my grave concern over the Republic of Turkey’s illegal incursion into Cyprus’ Exclusive Economic Zone (EEZ). This continuing and dramatic escalation of events by Turkey requires an immediate response. I ask that you raise this blatant violation with President Erdogan during your upcoming visit to the Republic of Turkey and request that he immediately withdraw from the island’s exclusive economic zone. The Cypriot people need your strong voice on this issue to urge President Erdogan to withdraw from Cyprus’ EEZ so that reunification talks can resume. Your active engagement on the Cyprus issue has engendered new hope for the talks, which Turkey’s illegal provocations in Cyprus have endangered. Earlier this month, Turkey sent a research vessel accompanied by several support and warships into Cyprus’ EEZ for the purpose of conducting a seismic survey where ENI/KOGAS is already exploring for natural gas at the request of the Cypriot government. In response to Turkey’s provocation, Cypriot President Nicos Anastasiades promptly suspended Greek Cypriot participation in the peace negotiations with the Turkish Cypriots. As you know, Turkey has occupied the northern part of Cyprus for 40 years in violation of international law, during which time it has actively obstructed the rights of the Cypriot people to benefit from their country’s natural resources, and it has prolonged their suffering by supporting the intransigence of the Turkish Cypriot position during all prior peace negotiations. The European Union and the United Nations have publicly condemned Turkey’s actions. The United States must join the international community in calling on Turkey to immediately withdraw from Cyprus’ internationally recognized EEZ, and agree to work toward a Turkish Cypriot position that seeks to establish the “bi-communal, bi-zonal federation with political equality” that was agreed to in February’s Joint Statement. Given your commitment to supporting both the Greek and Turkish Cypriots in their efforts to achieve this objective, I believe you are in a unique position to deliver this message to President Erdogan so that both sides can reengage in honest and productive negotiations.